Richard's new contract includes TV and movie projects with the Kapamilya network. 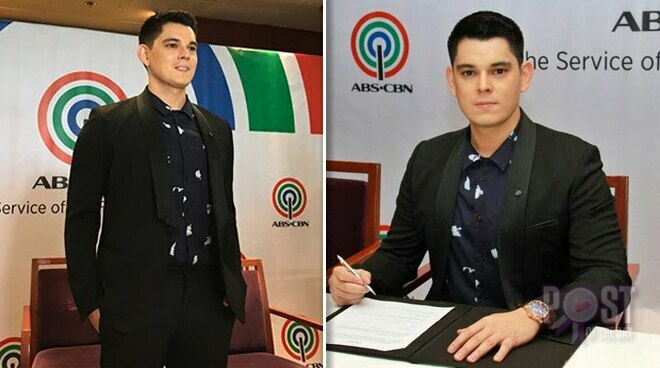 Richard Gutierrez has just signed a two-year contract with ABS-CBN today May 10. "I am very excited and very thankful for the trust and the opportunities that will come my way as a Kapamilya," he said. Aside from his long-time manager, his mother Annabelle Rama, the actor is now co-managed by Star Magic. Richard transferred to the Kapamilya network May of 2017 after working with GMA for 10 years. His first major project with ABS-CBN was the top-rating prime time series "La Luna Sangre."